This Wednesday tune into Windsor and Detroit’s campus-community radio station, CJAM 99.1 FM, between 5 and 6:30 pm for your best source in Windsor-centric music, The Windsor Scene. 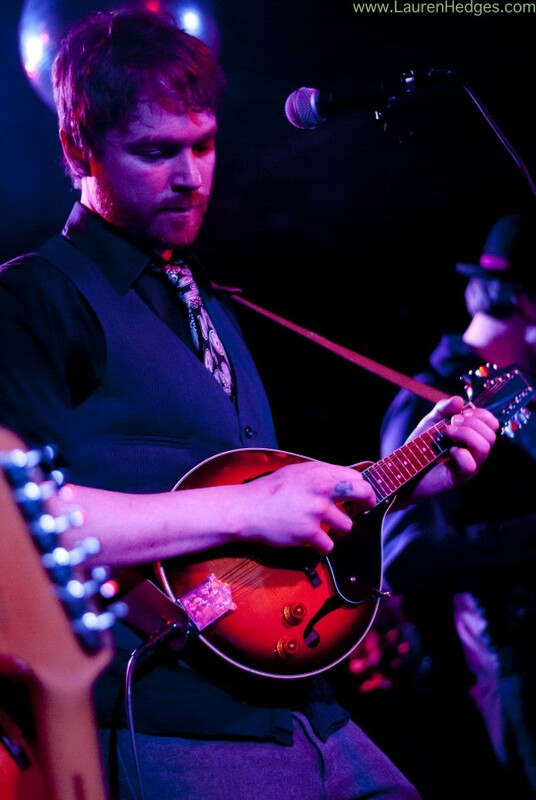 There is a lot happening this week, including an interview with the city’s newest love-affair,The Unquiet Dead. This nine-piece has been rocking out across the province since October 2011, dishing out a unique amalgamation of folk, rock, world, and psychedelic music. Add that to an entertaining live show, and it’s no wonder they were chosen to play Canadian Music Week 2012 after just six months of shows. Comprised of many talented and seasoned musicians, this group is getting set to release their first album, Tales of the unquiet dead: Book One, which was recorded with Mark Plancke at Shark Tank Studio. 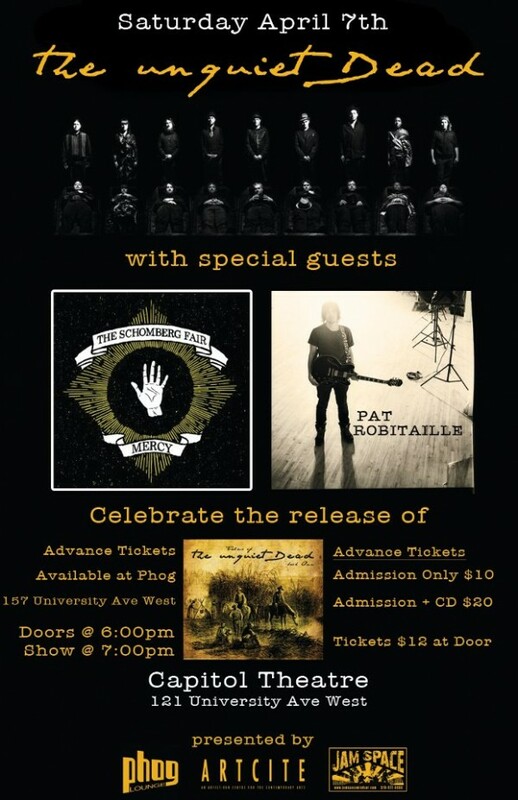 The official CD release will take place this Saturday, April 7th at The Capitol Theatre. They will be joined by Windsor’s acoustic darling, Pat Robitaille, and Toronto’s thrilling folk rock trio, The Schomberg Fair. 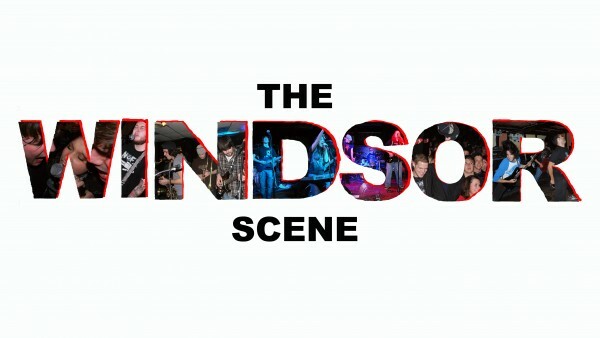 In addition to this live interview, The Windsor Scene presents The Van Sessions: Part One featuring Paint and Katlina Cowan. Paint is an indie group out of Toronto, currently doing a bit of touring with acoustic act Katlina and the Gracious from London. 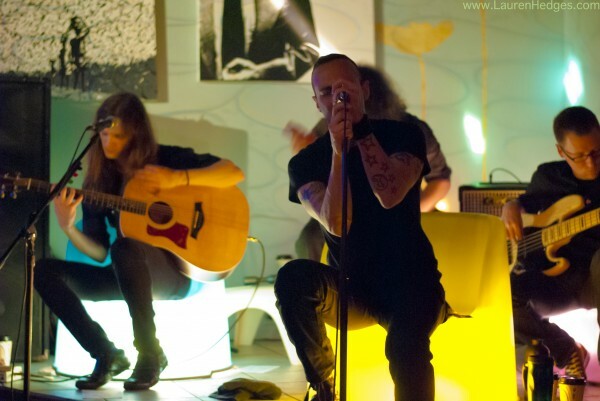 Saturday night they found themselves performing in town at Milk Coffee Bar along with locals State of Us and Bleach. Following their sets, we all piled into the tour van for a mashed and merry candid interview. So be sure to tune in this Wednesday, April 4th to CJAM 99.1 FM between 5 and 6:30 to catch all the action. This episode, like all others, will also be available as an iTunes podcast.